In the past week, I’ve visited a Japanese-style temple at the bottom of an ocean-bed ravine, I’ve taken part in a battle royale among Mongol-inspired nomadic tribes, and I’ve seen a subjugated people rise up after 25 years of oppressive rule. I’ve fought primals, voidsent, elite Imperial soldiers, and newfangled magitek contraptions. 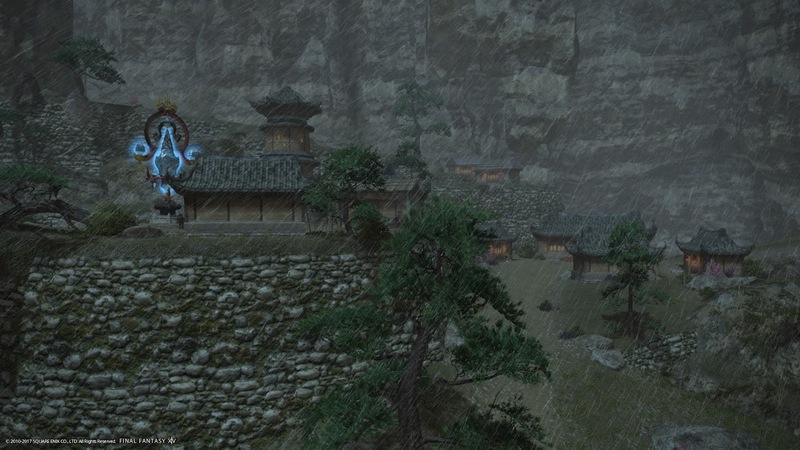 I’ve gone swimming at Costa Del Sol, sat in mountainside rice fields to admire the rain, and been accidentally delivered love letters intended for samurai far more handsome than I. It’s been a busy week, is what I’m saying. My journey took me to the Othard continent, home to the city-state of Doma, and definitely one of my favourite places in the game to date. 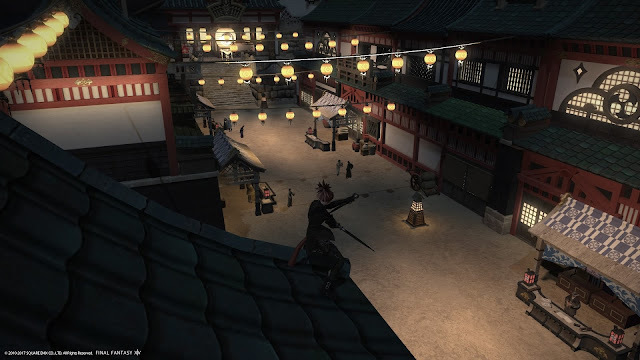 It’s loosely based on real-world Asia, and Stormblood opens up a few areas of that to players. Last week I mentioned Kugane, the new Japan-inspired city, and the Ruby Sea, which is something akin to the Ryukyu Islands. 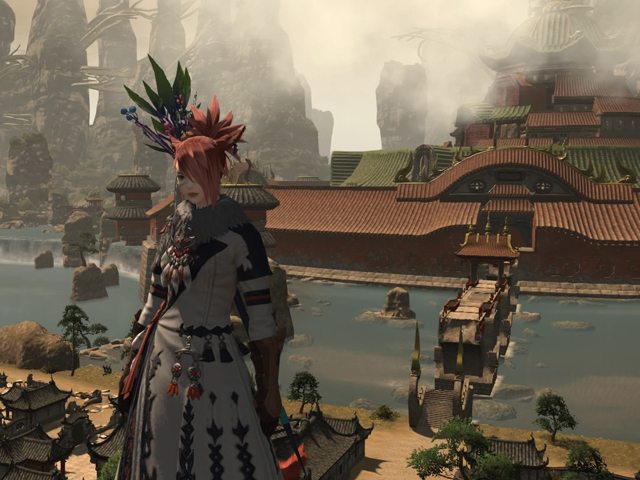 This week, I got to spend some decent time in two more areas: Yanxia and the Azim Steppe. Yanxia is based on China, complete with a Great Wall, and it’s utterly beautiful. There’s a farming village high up in the mountains, with terraced rice fields and precarious pathways hewn into the hillsides. The trees and mountains make the landscape itself feel alive. There are a couple of fishing villages down near the edge of the sea, and the opulent Yuzuka Manor where you might expect a lord to have once lived. I say “once” because the manor and surrounding town is abandoned now, home only to monsters. Such is the state of much of Yanxia – a once prosperous land that’s now crumbling under the weight of Garlean occupation. 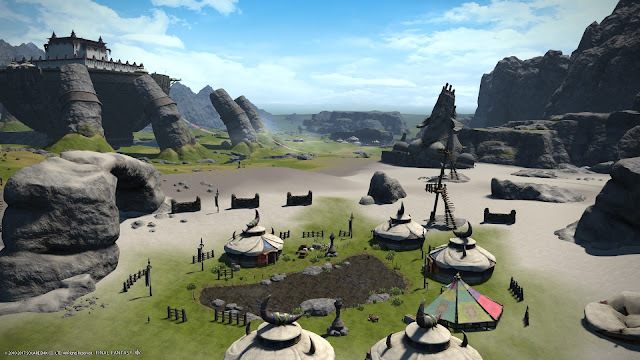 To the north of Yanxia is the Azim Steppe, where the nomadic Xaelan tribes live. This is Final Fantasy XIV’s take on the lands that would become the Mongol empire; a huge expanse of highland fields, populated by small clans who move about as their needs dictate. Though each clan is its own and they don’t exactly coexist peacefully, a ruling tribe is regularly chosen through the Nadaam – a ritualistic battle royale where there are no ranks and all can fight as equals to see who’s the strongest. The story guiding the journey to these new places has, so far, played out like a series of vignettes: in their effort to bolster their anti-Empire resistance, the Scions of the Seventh Dawn travel from place to place, helping out the people in need and inspiring them to rise up. 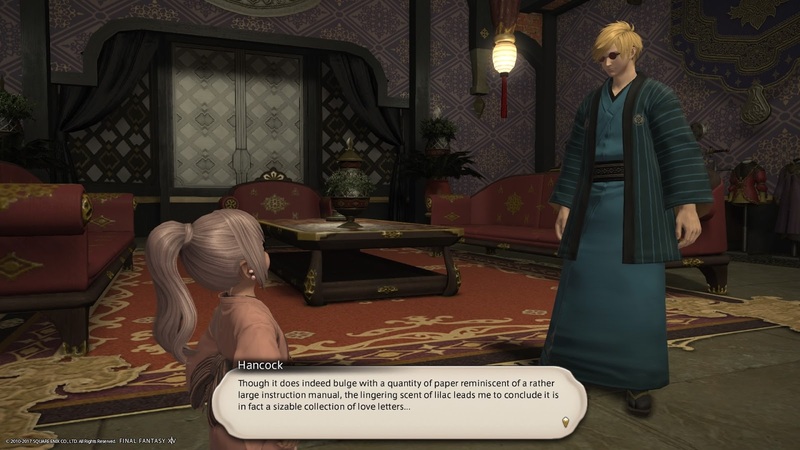 It’s a tale as old as time, especially in the realm of Final Fantasy, and Stormblood tells it with just the right balance of sincerity, melodrama, and humour. At the heart of this story is Gosetsu, an old samurai who fought against the invasion many years ago, and Lyse, who has to learn to be a leader for her own people in Ala Mhigo. Together, they create an interesting dynamic to the age-old rebel uprising tale. Naturally, I’ve also taken on a few dungeons and bosses over the course of the adventure – such is the way of the MMORPG. My favourite by far is Shisui of the Violet Tides, an optional dungeon found deep below the Ruby Sea. It’s a picturesque Japanese-style palace, complete with a towering pagoda in the background and gardens of coral. 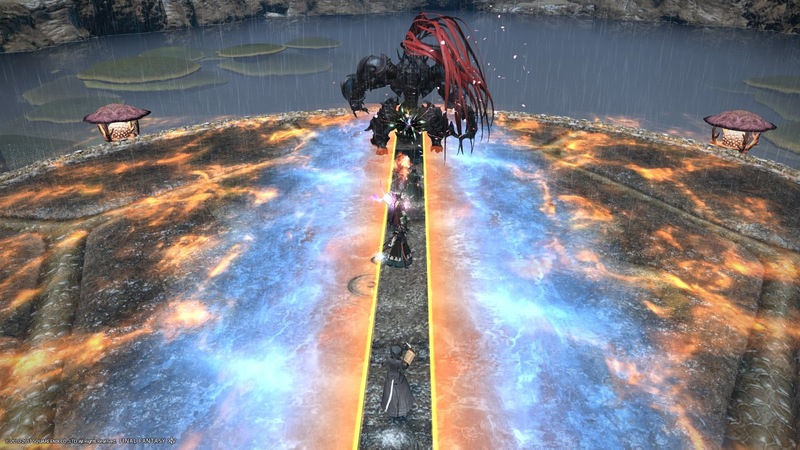 I also have to make a special mention of Bardam’s Mettle; the dungeon itself is nothing special, but it has a rather unique, memorable boss fight that doesn’t involve any sort of fighting. It’s framed as a series of trials, involving dodging attacks and solving simple action-adventure puzzles, and you win by not making too many mistakes. It’s neat. 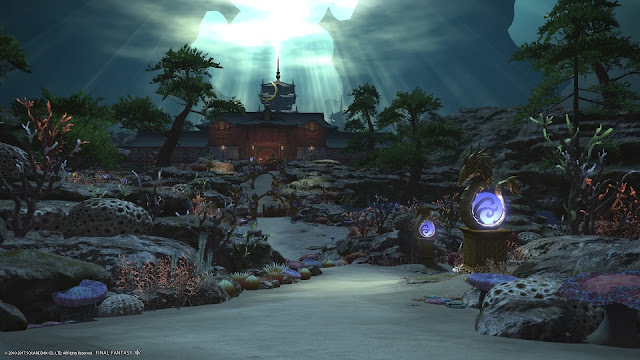 I can feel myself coming towards the final act of the Stormblood story, and I can’t wait to see how it wraps up. 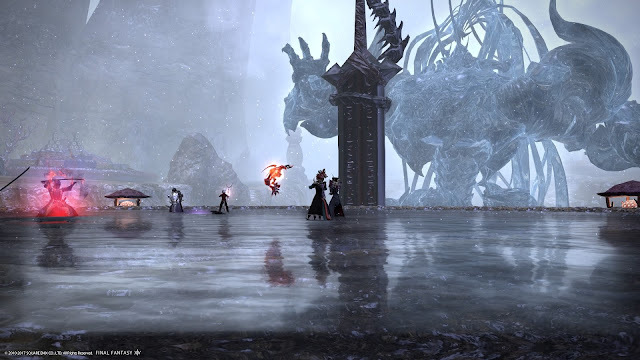 Perhaps even more than that, I’m looking forward to diving into the new end-game, with new expert dungeons, extreme primals, and the Omega raid. Here’s hoping I can get myself some of that sweet Genji Armour. Please look forward to next week’s diary, and enjoy a few more screenshots in the meantime!